We cut up 3 colors of peppers at the beginning of the week. I store them in an airtight container in the fridge to last us for a bit. When it is lunch time it is P’Diddy’s job to go and find the hummus and peppers out of the fridge. He also grabs our favorite crackers to eat with it – mini 12 grain from Trader Joes. They are the perfect size for his little fingers. Are you surprised my just turned three year old loves hummus and peppers? I began serving it daily and he quickly caught on that he liked the hummus and would dip his pepper, but then licked the hummus right off. ha! It took some time for him to actually eat the peppers and now he does everyday. What flavors are our favorite? Roasted Garlic and Sweet Roasted Red Pepper. I take turns between the two. This past week I received some Tribe Hummus coupons in the mail and decided that I needed to venture further out in my hummus choices. Tribe has a lot of yummy flavors! Or Yummus flavors I should say! I bought Mediterranean Style which is a little added paprika and olive oil on top of regular. And Zesty Spices & Garlic which is just some added spices on top of the garlic flavor. P’Diddy and I loved them! Did you know that Tribe hummus is made with all natural ingredients and is free of artificial flavors, preservatives, hydrogenated oils, and high-fructose corn syrup? Very important to us! Who is the hummus eater at your house? I received this products for review and all opinions are my own. This giveaway will end on February 27, 2012 at midnight EST. Winners will be drawn via rafflecopter. Once a winner is drawn I will contact them and they will have 48 hours to reply before I draw a new winner. Giveaway is open to anyone in the US and you must be 18 years of age or older. Giveaway not affiliated with Facebook & I release them of liability. Winner will be posted in the rafflecopter widget. We all enjoy hummus here but have not tried this brand. I would love to try the zesty spice and garlic though. We all love hummus! I love to use hummus on sandwiches. We love hummus - especially with garlic. I love hummus.. so good on pitas or with veggies. I love Hummus! I like this flavor of Tribe Hummus! The Roasted Garlic and Sweet Roasted Red Pepper. The spicy red pepper is for me. My mom, dad, and I LOVE hummus on pita bread or sandwhich wraps :) Thank you for the delicious giveaway! I'm the hummus lover—I love every flavor of hummus made! I love hummus. I eat it at work with raw veggies. My daughter and sister loves Hummus. We like the Classic and Roasted Garlic! Haven't tried the Red Pepper yet, but I bet it is delicious! I absolutely love hummus - it tastes so good. I am the hummus eater at my house. My son thinks it's weird/doesn't want to eat it. He's only 2 so i'm hoping he'll change his mind. I normally like garlic in my hummus but i also like original/regular. 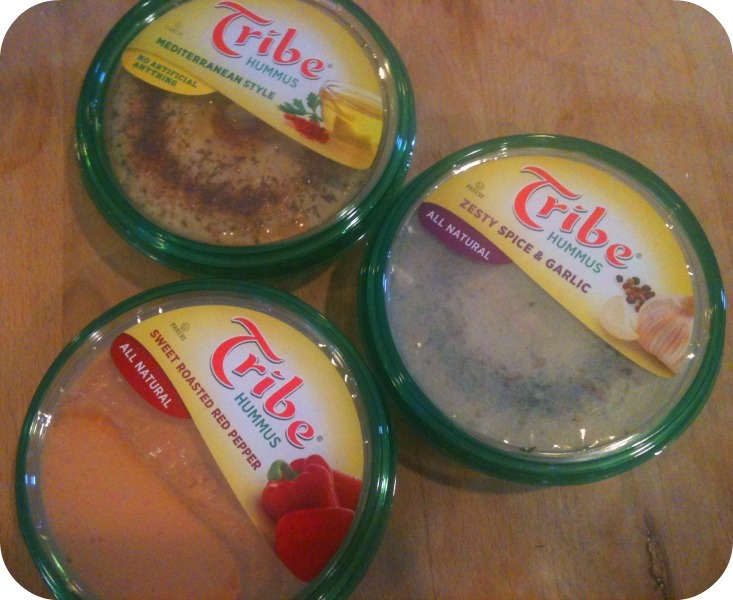 I would love to try Tribe Hummus. I have several other brands that I buy and enjoy serving at parties however never tasted this one that I can recall. One of the foods that I love to have with my hummus is a pita bread lightly toasted a roasted garlic spread then a layer of smoked turkey and a slice of melted provolone cheese on top! Sometimes I will even put a layer of fresh spinach in the open-faced sandwich. I then cut the pita in 3 wedges to make it feel like I am dinning in heaven. Ok I guess I really love my hummus! I have never tried Tribe Hummus, but it sure sounds like something I would like to try. I am a hummus addict!!! Classic and garlic are my favorites! I love Spicy Red Pepper. I love hummus... my toddler does to... Garlic!! I love the original flavor hummus! I had to snicker when I sent the Tweet today. A month's supply of hummus around here is probably far from what your wonderful sponsor would like to share with us. LOL. I love Hummus! Sometimes I make my own with advocado, beans, cilantro and lime! I like it. I like the zesty spice & garlic. Zesty Spice and Garlic Thanks for the great giveaway! We all love hummus at my house!! I love the red pepper hummus! my son and i love hummus!! especially garlic! I love hummus, especially garlic hummus! I love hummus and would like to try the Mediterranean Style. At our house, I am the hummus fan! the whole family loves hummus, but we all have our particular likes on what to dip. My wife and I love hummus with pita chips, any flavor will do. The kids eat it but I don't think they love it as much as my wife and I.
I love Hummus but never tried the Tribe brand. I buy the Target brand Spinach and Artichoke. Our family loves hummas. We eat it with carrot sticks and pita bread. I am addicted to their hummus! My favorite is the cracked red pepper flavor. Both my sister and I like hummus. My fave from Tribe is the Spicy Red Pepper. I've never tried it before, but hubby loves it. We LOVE hummus. I like Tribe's Roasted Red Pepper hummus. never had that brand but love hummus! Roasted red pepper is a fave. We are just starting on adapting to a vegetarian lifestyle, hummus is sooo good and easy to use! We all love hummus at our house but my toddler likes it the best. It is his "dip". Whenever there are crackers or chips, he must have "dip"
I eat hummus quite a bit. It is a great snack, and healthier than most other snacks. I'm the hummus lover in my house! I like just the plain flavor, and rely on the veggies and crackers for the added flavor..
My favorite is the Spicy Red Pepper. My husband and I are the hummus fans at our house and we love the Zesty Spice & Garlic variety. I love hummus. Especially Roasted Red Pepper. Unfortunately, I'm the only one in my house that loves hummus. I like the original flavor with baby carrots or pita chips. I don't have a fave. I have liked them all so far. I'm the hummus lover at my house. I like the red pepper and forty spice hummus. Everyone in my house loves hummus. I am the only one here who eats hummus. i like garlic. I am a the hummus lover; zesty spice and garlic would be my Tribe Hummus of choice! I've never tried hummus! BUT I wanna! Hummus. Yummus! Love it! I have a lot of favorite flavors ....plain, olive, roasted red pepper! 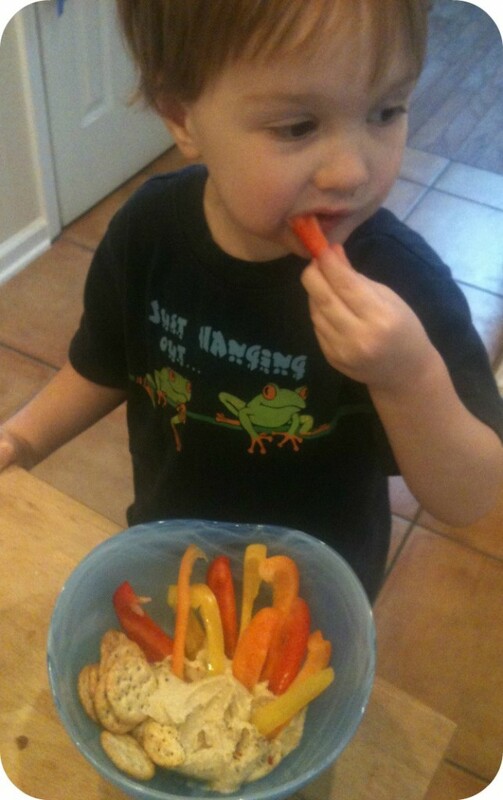 Mmmmm P is so cute, our boys share a love of hummus and peppers! I LoVE Hummus. Especially roasted garlic hummus. My whole family loves veggies in hummus! Sweet roasted red peppers hummus is my favorite. I am the only hummus eater in our household. I enjoy my hummus with pita chips or smeared on a toasted "everything" bagel. Thanks. We love having hummus and chips as a snack. We love the roasted garlic!! 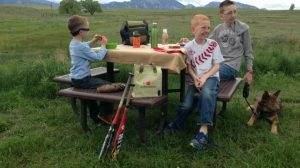 We all love hummus and its a great way to get my boys to eat raw veggies. Everyone in our house likes hummus, even my son. My favorite is the Spicy Red Pepper. My daughter and I both love hummus. I've never tried a flavored hummus. Thanks! Everyone in the house loves hummus. We use everything from pita chips to snap peas with it!